Cloned from Spacerock Biline by LexKominek. 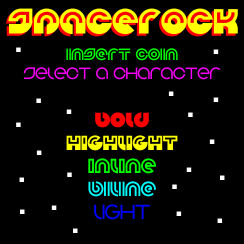 See also Spacerock Serif Bold by dangermendez. Based on a design I created for a video game package many years ago, but with some improvements. Info: Created on 9th June 2010 . Last edited on 9th June 2010.